Dhankot Traders is specialized in manufacturing and supplying large array of Hsfg Bolt that is fabricated using optimum raw materials. 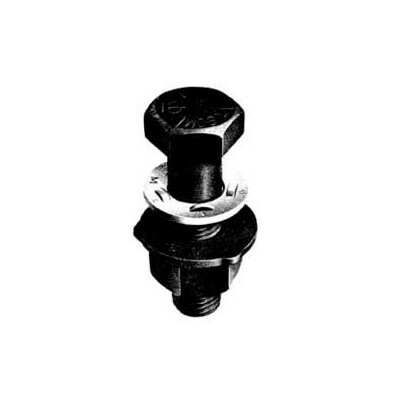 It is also known as High Strength Fiction Bolts that are extensively utilized in alignment with durable nuts and toughened steel washers in structural steelwork. These are preloaded bolts which provide compressed stress on the connected plates which increases the frictional conflict. Accordingly, the force enlarges between the plates and be predisposed to slip comparatively where Hsfg bolts act in acquitting the load. As a result, we are reckoned as one of the foremost Manufacturers, Exporters and Wholesale Hsfg Bolts from India. Due to its bulk availability and reasonable price, various industries like Airports, Railway Bridges, Road Bridges, Commercial buildings, etc., are placing bulk orders for the requirement of Hsfg Bolts.